Yu-Gi-Oh X Beyblade!! Chapter 4 Pt.3!! 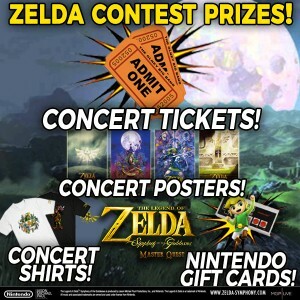 The Legend of Zelda Orchestra started a contest for Philly that ends Jun 10th! It’s real easy!! You just fill our their form. “Zelda fans, hey listen! – We are having a giveaway contest for the The Legend of Zelda: Symphony of the Goddesses World Tour, coming to The Mann Center on Sunday, September 25th! Don’t miss your chance to win concert tickets, merchandise, and Nintendo gift cards!